It’s been about three weeks since I got back from my summer vacation/research in Dharamsala, India. After getting my laptop fixed from the monsoon woes, the first thing I did was to check my Facebook, only to be pleasantly surprised by Facebook’s new story on Lhakar Diaries. Facebook has a new editorial section called Facebook Stories that do stories on “People using Facebook in extraordinary ways.” The Facebook editorial staff had noticed the high level use of the word Lhakar and had found our Facebook group Lhakar Diaries. After looking into the word “Lhakar,” they had found our blog Lhakar Diaries interesting and informative enough to want to do a story on our blog. So about a week ago, while browsing through my Facebook newsfeed, I was extremely excited to see Facebook’s editorial on Lhakar Diaries called “Lhakar: Taking a Moment to Be Tibetan” by Alexandra Townsend (the Tibetan translated version). The editorial story features one of our own regular contributors and guest poster Lodoe Laura. The story explores the different ways in which we as Tibetans and individuals struggle with and express, in different ways, who we each individually are as Tibetans. While in a conversation about the use of Facebook amongst Tibetans with Dechen Pemba, she mentioned another Facebook group called “Bo Kyed Tsang Ma” (Purely Tibetan). All posts in the group are required to be written by Tibetans in Tibetan, the primary aim of Bo Kyed Tsang Ma is to encourage and allow Tibetans to actively use Tibetan. Although questions of inclusivity came up, echoing Tsering’s sentiments in FB stories, in regards to Tibetans who do not know how to read and/or write Tibetan (the same argument could be had in regards to Lhakar Diaries, although we encourage the Tibetan language, the main medium in which LD has been written thus far has been in English because of our backgrounds in being born and/or growing up in the West), we both agreed that Facebook has changed the way Tibetans from different walks of life, whom occupy different level of status in our society, communicate. 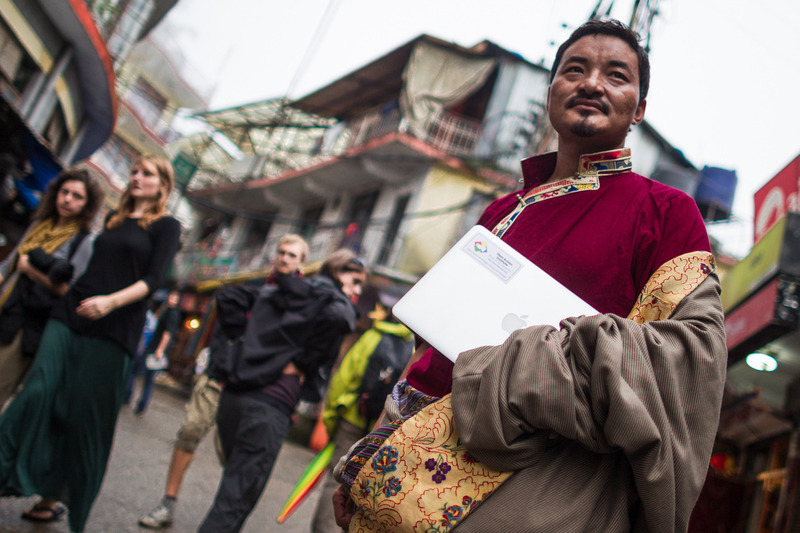 Facebook has allowed diverse groups of Tibetans (whether living inside or outside, monks or musicians, lama’s or lay people, artist or activist, scholars or students, organizations or individuals, or all of the above) to meet as equals. It has leveled the playing field as far as communication. Reincarnate Lama’s use Facebook nowadays. Lama’s are usually treated with reverence by ordinary Tibetans/Buddhists; however, on Facebook they meet lay Tibetans, and vice-verse, as equals, and have an easier time partaking in casual to serious conversations. I thought it was pretty cool when I could “like” Arjia Rinpoche’s (can’t find him on FB anymore [?]) pictures of cute animals or his thoughts on the Dharma. From what I’ve seen, Facebook has contributed to bringing our community in the diaspora and inside closer by making communication fast, easy, open, and equal.